An almost bi-weekly blog covering a broad range of topics and interests. Most Americans have no idea who Major General Marion Carl was. That is a shame because in his day, he flew higher and faster than his contemporaries. He pushed the envelope of aviation and set the standard for future pilots to aspire to. Sadly, June 28, 2016 will mark the 18-anniversary of Carl’s murder. The National Aviation Hall of Fame’s enshrinement page states, “Marion Carl departed life in the same way he had lived it: heroically.” That statement is entirely accurate. In true gallant fashion, the aviation pioneer died defending his wife on the evening of June 28, 1998. Marion Eugene Carl was born in Hubbard, Oregon on November 1, 1915. Carl studied engineering at Oregon State College (now Oregon State University) and received his bachelor degree in 1938. The following year on Dec. 1, 1939 he earned his Marine wings and was commissioned as a second lieutenant. Carl’s military career soared during WWII. He was among the first pilots to engage Japanese forces at the Battle of Midway, when his squadron encountered more than 100 enemy fighters and bombers flying towards the strategically significant atoll. Although Carl’s squadron fought courageously, the heavily outnumbered American’s suffered substantial losses at the hands of the better-equipped Japanese. Carl was one of only two men to survive that engagement. Two months after the Battle of Midway. Carl headed to Guadalcanal. On August 26, 1942 his prowess in combat earned him the title of Ace Pilot, making him the first Marine of WWII to earn that honor. On Sept. 9, 1942, in a scenario worthy of a Hollywood scene, Carl was forced to jump from his heavily damaged airplane. He was stranded for several hours in the Pacific Ocean, nearly drowning due to exhaustion, before local natives in a canoe rescued him. Less than a week later, Carl returned to his base and continued in the war effort. The hostilities in the Pacific theater ramped up at this point. 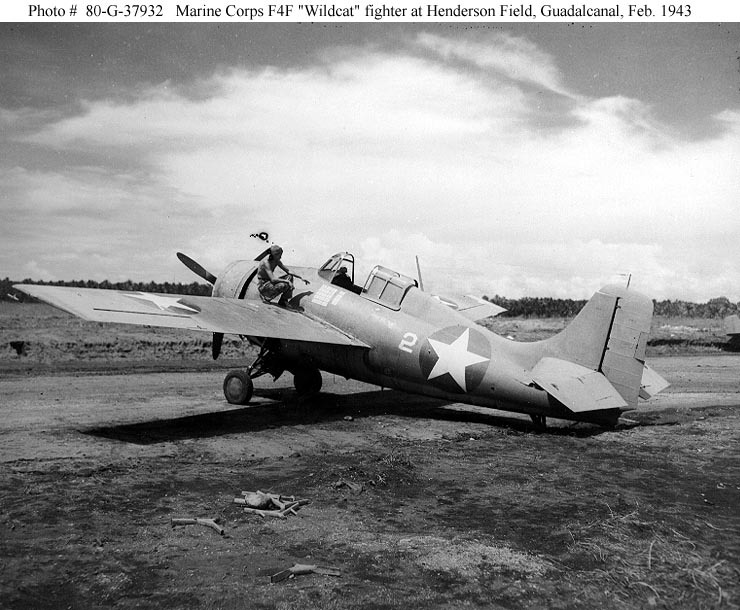 Acepilots.com states, “During the period from late August through November 1942, the Marine pilots faced almost daily combat, and some of them, like Carl… ran up large scores.” Carl would return to the United States on October 21, 1942. Following a second tour of combat in 1943, Carl was assigned to the Naval Air Test Center in Patuxent River, Maryland. He would quickly distinguish himself by becoming the Marine’s first helicopter pilot and the first Marine to land a jet airplane on an aircraft carrier. Carl went on to become a Navy test pilot. His major achievement was on August 25, 1947, when he set a world speed record of 651 mph at Muroc Field (now Edwards Air Force Base). His fame was fleeting though because Chuck Yeager would eclipse his record two months later. The following year Carl became the first man to lead the U.S. jet aerobatic team. The 1950s proved to be a busy decade. Carl would serve in the Korean War, the Vietnam Conflict, and fly reconnaissance missions over Red China. He also got deployed abroad to command classified operations in Taiwan. Carl even set an altitude record of 83,235 ft. in 1953. The record was unofficial because the mission’s launch wasn’t a ground to air flight. Carl continued his military service throughout the turbulent ‘60s rising to the rank of Major General in 1967. In 1970, he would become Inspector General of the Marine Corps. After serving more than 30 years in the armed forces, Carl retired in 1973. He and his wife, Edna, settled near Roseburg, Ore. to enjoy their sunset years. Tragically, his life ended when an intruder broke into their home demanding money and the keys to Mrs. Carl’s car. Since his passing in 1998, numerous posthumous honors have been awarded to recognize Carl’s achievements. The Roseburg Regional Airport renamed its field the “Marion Carl Field” and the city of Roseburg erected a beautiful memorial at the airport’s entrance to honor his memory. 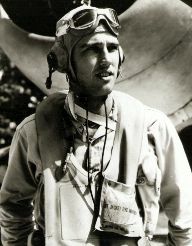 Carl was also inducted into the McMinnville Evergreen Museum’s Hall of Honor and The Oregon Aviation Hall of Fame in 2003 and 2004, respectively.